Decades ago, when I lived in Maryland, I was seeing a wonderful therapist/life coach/wise woman named Judy Alexander. I still remember so many of her stunning insights. One month, when she and I had worked together on various goals I was going to achieve by month's end, I met with her on the 28th of the month and had nothing to report but failure. This particular month was going to be chalked up as a zero. Judy looked me in the eyes and said, "There's still two more days." Ooh! I used those two days to accomplish what I hadn't accomplished in the other twenty-eight. This month I had two major work tasks: 1) revising my forthcoming third-grade-level chapter book, Vera Vance: Comics Star from a second round of editorial comments; and 2) revising my forthcoming academic article, "Trying to Be Good (With Bad Results): The Wouldbegoods, Betsy-Tacy and Tib, and Ivy and Bean: Bound to be Bad" from a second round of blind-reviewer comments. I made fairly diligent progress in the second half of November, after recovering from my little granddaughters' ten-day visit in the first part of the month, followed by a delicious short jaunt to Indiana. But as of this morning, neither project was completed. But as of an hour ago, I had pressed SEND on both of them. Nothing motivates me like the first day and last day of the month. On the first day, I begin a whole new life! Everything is going to be different this time! I'll be more fit! I'll be more frugal! Above all, I'll be more productive! This is the month those book revisions will get done! This is the month those article revisions will get done! This is the month IT WILL ALL GET DONE! And then. . . it doesn't... Well, it doesn't until the end of month is staring me in the face, with its now-or-never finality. Then, fortunately, there are still three more days... then two more days... then one more day. Today was that day. I did what I had set out to do, with time left over to write a blog post to brag about it. And tomorrow a whole new life can - and will - begin. 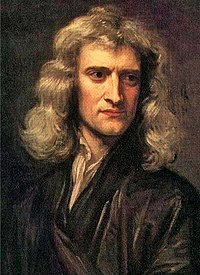 Sir Isaac Newton is widely regarded as a very smart person. One of the very smart things said by this very smart person was his first law of motion, here simplified for my less-smart self: "An object at rest tends to remain at rest, and an object in motion tends to remain in motion, unless acted upon by an external force." This is often referred to as the Law of Inertia. I personally know the Law of Inertia all too well. Until recently I had no idea just how long an object at rest could remain at rest. I have always been a champion sleeper, and I've had idle curiosity about how long I could sleep if I didn't deliberately rouse myself from bed at some point out of guilt. Now I know the answer is basically: forever. I can easily sleep eleven hours at night and still take an afternoon nap and then settle down for another eleven hours of sleep the next night. While this makes me the envy of insomniacs, I am here to report that This Is Not Good. Sleep studies have shown that excessive sleep (more than nine hours) is just as detrimental to health as insufficient sleep (less than seven hours). And "sleeping your life away" is hardly regarded as a rich and flourishing human existence. The best way to get oneself into motion, as Newton pointed out, is of course an external force. This is why I perk up when my editor sends me proofs of a forthcoming book to review, or editorial suggestions for revision. Hooray! An assignment from the universe! But most of the time I have to find a way to act as my own external force. So here are some of my most successful strategies for rousing myself to action. Check my online bank balance and reconcile it with my checkbook register (okay, I'm obsessive here, too, but oh, the joy of feeling that I have a grip on these two key numbers for my well-being). I used to balance my checkbook every month, but now I do it every day; I love the reassurance of knowing each day that all is in order. Unload the dishwasher - how I love this task!! The only task I love more is putting a load of laundry in the washer. Bliss is the sound of the washing machine chugging away. Something in my life is getting better! Something is actually happening to improve my situation! By this point I've already bestirred myself enough that I can now tackle Real Work using any of these approaches. Make notes on The Put-Em-Rights by Enid Blyton, which I just read for final revisions on a scholarly article. Go through the second round of edits on my forthcoming chapter book, Vera Vance, Comics Star, and see how many of my editor's queries I can address in thirty minutes. Type up the poems I wrote last week for a possible novel-in-verse. Search for a box for the Christmas ornament I'm sending off for this year's Betsy-Tacy ornament exchange. Go online and buy some stamps - did you know first-class postage is going up five cents in January? Give a first reading to an article I agreed to peer-review for a children's literature journal. 3. If I've chosen a task that can be done at my desk or on my couch, I "enter the zone" by turning over my beloved hourglass or half-hourglass, and lately, lighting a candle, too. This helps to signal that real work time has begun. 4. Use a counting strategy. Mine involves doing things in multiples of five. (Further evidence of my OCD?) If I'm extra-daunted, extra-lethargic, extra-inert, I commit to do do just FIVE small steps toward a task: unload just five things from the dishwasher, fold just five pieces of laundry, address just five of Margaret's editorial queries, type just five poems. This is a favorite. I do it when I walk and drive, too, obsessively counting the next five driveways (when walking) or traffic lights (when driving). It's oddly meditative and comforting, as well. 5. Eliminate any competing temptations for complete time-wasting. I make the bed so I won't be tempted to get back in it. I put my phone out of reach so I won't scroll idly through Facebook for an hour or two. I deleted the Sudoku app from my I-pad and stored the I-pad in an inconvenient spot. (TV happens not to be a temptation for me, and in any case, other people control the TV remote in my house.) If there is absolutely nothing else to do except for productive activities, productive activities do tend to get done. I do, however, allow myself to read library books as a distraction from the more purposeful tasks, if my inertia is dire enough. I can never count an hour reading for pleasure as a wasted hour. I'd like to be able to say that once I become an object in motion, I now stay in motion, but Newton was wrong about this one, at least in my case. I can only sustain motion for so long before sloth once more overcomes me. But that's okay. The whole point of this blog is to argue - to you, and to myself - that with just one hour a day you can accomplish many lovely things. And the point of this particular blog post is just to list some tried-and-true ways of rousing oneself to work - to do anything at all! - for at least one hour. Because, my friends, a productive hour is SO much better than a twelfth hour of sleep. Trust me on this one. Because of my current family woes - which are woes that may continue from now until the day I die - I can no longer take long trips away from home. Three days is about as long as I can permit myself to slip away. Fortunately, a three-day jaunt is a three-day infusion of bliss. This month's three-day jaunt was to Indiana, on the invitation of the Prindle Institute at DePauw University (where I spent six TOTALLY blissful semesters as a visiting professor, spread out over the years from 2011-2016). I had served as one of the blind reviewers for their annual Young Philosophers Symposium and was also given the opportunity to come back to Indiana to take part in the day's discussion of fascinating papers by four young-career scholars. The topics included: 1) whether we should regret what we now recognize as past moral and prudential errors, given that they shaped us into the persons we have become; 2) whether the concept of racism necessarily involves the presence of racist ideology; 3) the moral wrong of fostering culpable ignorance in ourselves about conditions that oppress others; and 4) whether moral action can be merely instinctual and emotion-driven or requires more sophisticated rational motivation. I had forgotten how much I love philosophy and love being in the company of fellow philosophers. A part of my brain that had lain dormant for quite some time was jolted back into wakefulness, and it felt so good to be thinking hard about conceptual and moral questions. When I first took early retirement from the University of Colorado (four years ago - can it have been that long? ), I told myself not to "go gentle into that good pasture." But I sort of did - oh, there is no doubt that the pasture has its allure. But this week I saddled up my philosophy brain again and galloped away most joyfully. I also walked the streets of the small college town of Greencastle, which I probably love more than I love any other place on earth (happy though I am in my life in beautiful Boulder). I saw one dear friend for lunch, another for coffee, another for drinks at the Swizzle Stick, still others for late-night conversations curled up on their living room couches. My sister lives in Indiana, too, so the trip began with a cozy, blustery day sitting together by her wood-burning fireplace, as I made my notes on the philosophy papers for the symposium and she worked on law-school homework: yes, my younger sister is, at age 63, in her first year at Indiana University law school, preparing herself for a new career as a civil rights lawyer. I even had the chance to watch a video of a lecture from her Contracts course with her, over Cheesecake Factory treats. Yay for three-day jaunts! Unlike longer holidays, which require stressful preparation and extensive recovery, a three-day trip is a small, tidily packaged gift to oneself. And yay for not letting ourselves lose contact completely with anything we once loved and continue to love: places, pursuits, people. Now I need to scheme where my next three-day jaunt will be. I do especially love jaunts that mix work with play, as I adore both so much, and trips paid for by someone else are preferable, for obvious reasons, to trips where I have to pay. Universe: if you offer me another jaunt like this any time soon, know that I am exceedingly likely to say what I said to the Prindle Institute about this one: YES, FROM THE BOTTOM OF MY HEART, THANK YOU! Today has had, thus far, two perfect episodes of happiness in it. The strange thing is that they are complete opposites of each other. The first was the happiness of spending time with little girls. The second is the happiness of not spending time with little girls. My four-year-old granddaughter, Kat, got up early this morning (5:45, far earlier than I would have liked), but there is something magical about sharing early morning time with her while the rest of the family, and the rest of the world, is asleep. We read library books (my favorite from the stack this time is Ella and Penguin: A Perfect Match by the team of author Megan Maynor and illustrator Rosalinde Bonnet, a book I wish I had written). And then we had a tea party with button tea. I love buttons, so I pounced on a huge stash of them for a pittance at the church yard sale last summer. There is no better way to spend a pre-dawn hour than sipping button tea with Kataleya. The second episode of happiness began when the terrific nanny I hired for three hours, Brooke from Superior Nannies, transferred the car seats into her car and whisked Kat and Madi off for fun adventures elsewhere. I'm not even sure where exactly they are going. Perhaps the National Center for Atmospheric Research (NCAR), which has a most inviting child-friendly museum in a stunning setting. Perhaps the main branch of the Boulder Public Library. Perhaps meeting up with Kat's best friend, Danielle; Brooke has worked for their family, too. So here I sit at my desk, sipping not button tea but Twining's strawberry tea, brought back to me from England by my friend Rowan. I'm burning the hot-apple-pie candle made by my high school friend Patricia. I've caught up on email. I'm writing this blog post. Shortly I'll curl up on my couch to read the papers for the Young Philosophers Symposium I'm attending at DePauw University in Indiana next week. There is no better way to spend a few afternoon hours than doing work that I love, completely undisturbed. It's been a hard-won victory for me to learn how to love being with little girls when I'm with little girls, and to love being by myself when I'm by myself. But today the balance is perfect. Today (well, except for one stressful hour of little-girl meltdowns right before Brooke arrived to rescue us), I'm (mostly) managing to love what is, while it is.